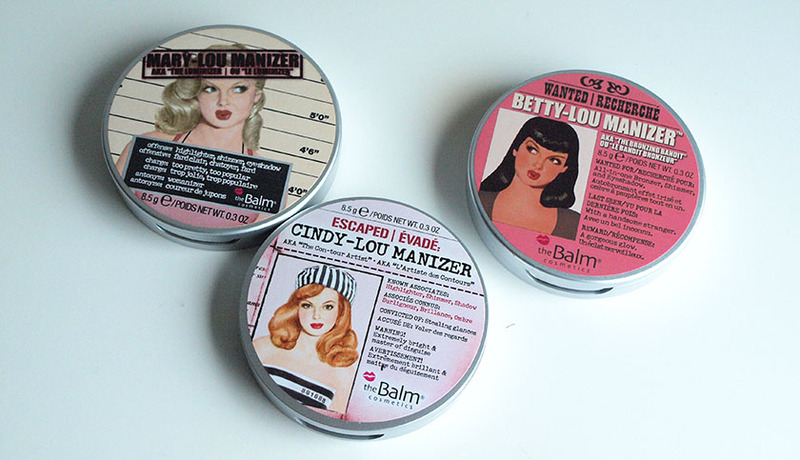 I blogged about the release of theBalm Cindy-Lou Manizer* (£16.00) back in January and I couldn't be more excited to finally try it. 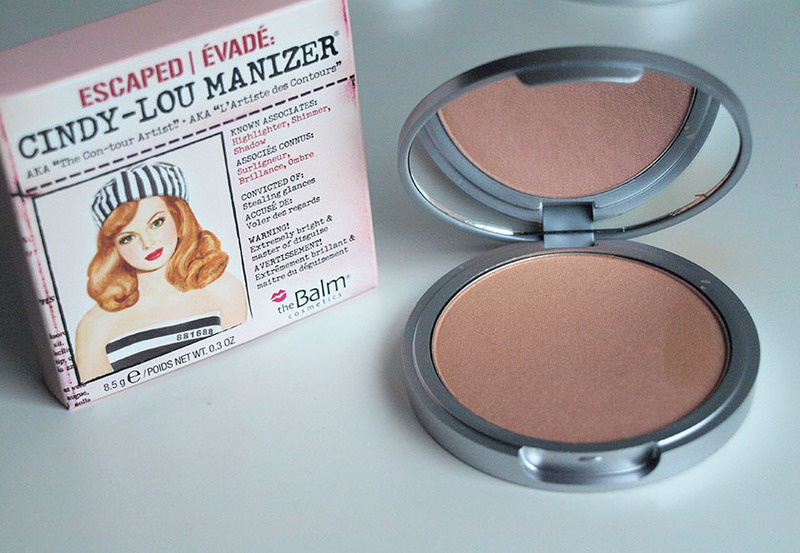 I already own Mary-Lou(highlighter) and Betty-Lou(bronzer) and they are both gorgeous, so I had really high expectations. 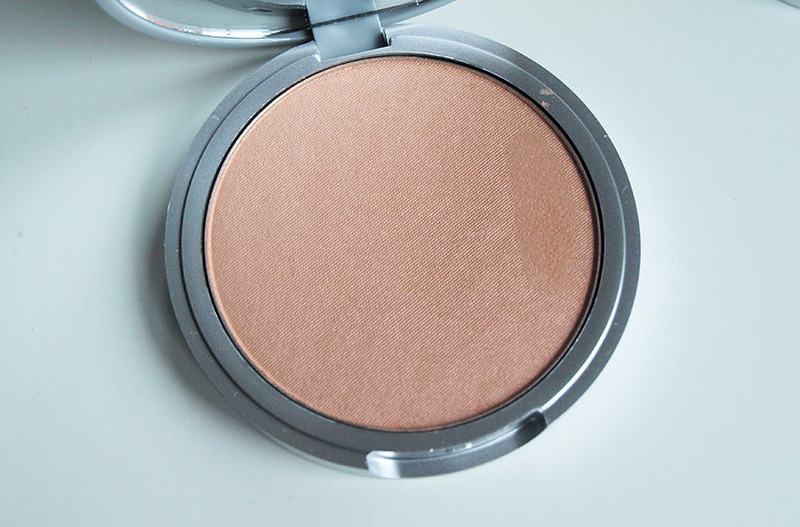 Cindy-Lou is a 3in1 illuminating product and you can use it as a blush, highlighter and eye shadow. 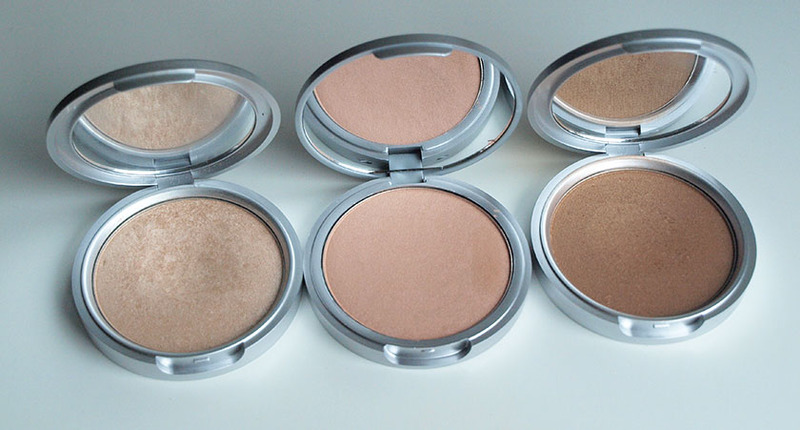 The other two can be used as eye shadows too :) If you have pale skin, Cindy-Lou will work perfectly as a stunning shimmery blush, but on darker skin tones, it will be a beautiful peachy highlighter. 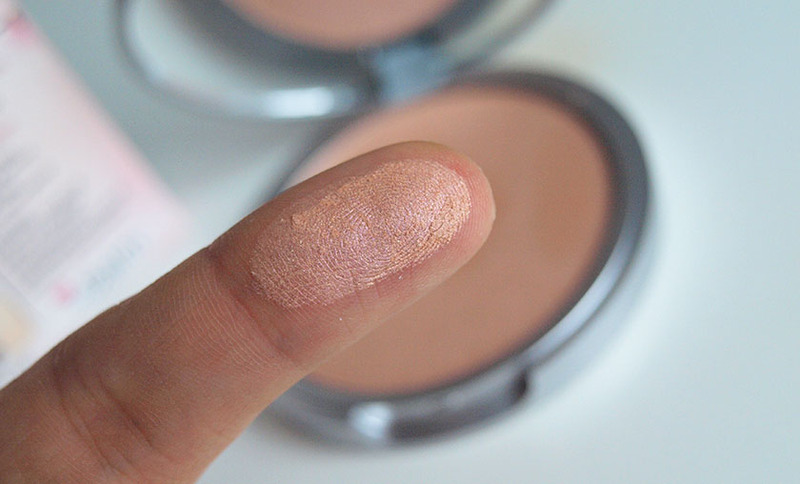 For me, it works as a very subtle blush and highlighter in one. I prefer layering it on top of another blush though. 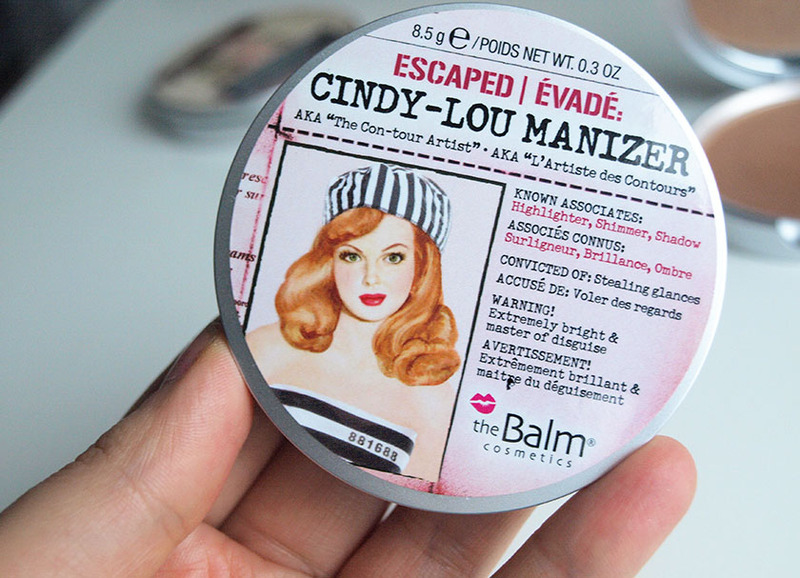 The consistency of theBalm Cindy-Lou Manizer is almost buttery, applies and blends beautifully and lasts on the skin really well (about 6-7 hours). The colour is a stunning peachy pink with a hint of gold and the shimmer is very fine and subtle. It gives more of a luminous effect, instead of looking glittery. You can see how it looks like on the skin on the photos below. I love it! I couldn't take a good photo of me wearing it in daylight, but I am including one with flash. Just like her two sisters, Cindy-Lou comes in quirky and functional packaging and you get 8.5 g of product. The size of the actual packaging is slightly more compact (always a good thing) and slimmer than the other two, but you still get the same amount of product. I use Mary-Lou a lot and as you can see on the last photo, the dent I made in it is hardly visible. Really good value for money in my opinion. Even if you use it every day, it will last you for years! Overall, I really like the new addition to my collection and I can see myself using it quite a lot.